GROW SWITCH NANO IONIC PLANT NUTRIENT ADDITIVES - DavaoPonics, Co.
New Nano Nutrient Technology for Higher Brix, Amazing Produce Quality and Faster Growth Cycles. Works with all NPK base nutrients. New Organic Ionic Nutrient Technology. Grow Faster, Grow Better. 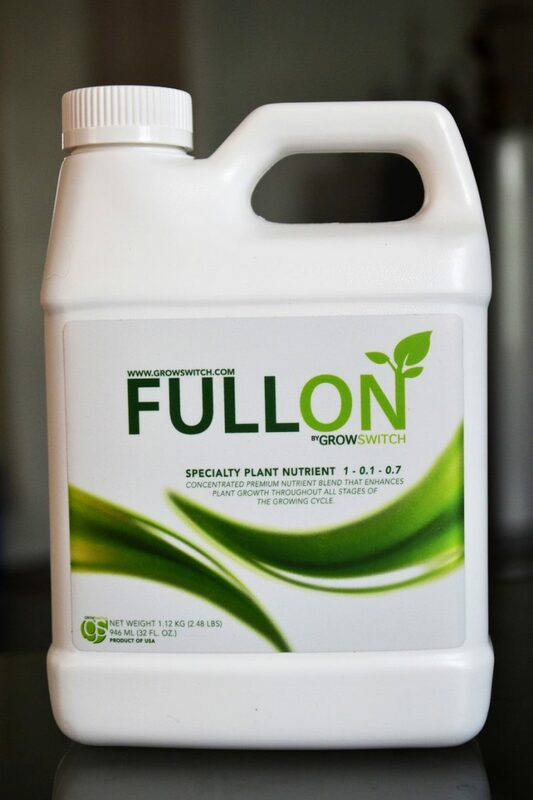 Our proprietary Nano Ionic Biostimulant, Full On, sets new levels of nutrient uptake and utilization. Boosts plants ability to efficiently convert nutrients into new cell growth. We’ve been receiving very consistent reports from our commercial customers around the country about reducing cycle times by 7 to 10 days or more, regardless of plant genetics, nutrients or growing methods/environments, while helping plants to achieve their full genetic expression. Can reduce some synthetic NPK Requirements by up to ~50%, lowering growing costs and reducing the environmental impact of fertilizer. Increased Yields. Flush cycles reduced from weeks to days. Amazing Produce with Higher Brix. Sweeter and cleaner every time. Full On uses nanoscale technology (particles less than 50 nanometers in size). 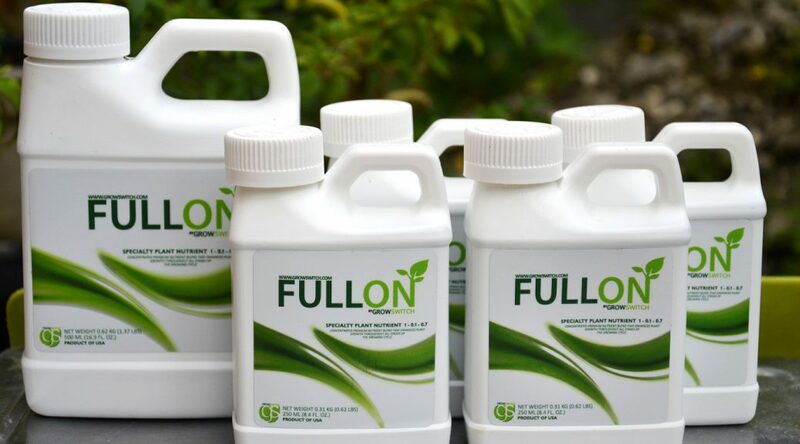 Our formulation fills in the missing links and provides all necessary building blocks of plant life, and the energy for the necessary conversions and exchanges to occur. Think of it like a super effective transporter moving nutrients into the plant, very efficiently because of the minuscule nano size (quantum angstrom) allows it to enter into plant cells with ease. As a result, increased photosynthesis occurs that improves cellulose, sugars/brix, starches, waxes, carbohydrates, oils and proteins; the building blocks of plant growth and health, and increases the plant’s natural ability to complete growth cycles sooner. Higher brix, increased nutrient density, faster plant growth gives Full On Growers a distinct advantage in every market.